Denmark is a country that attracts many people from all over the world. 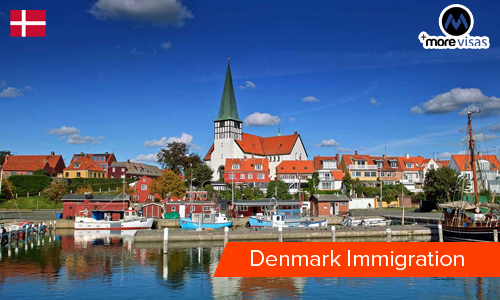 Each year thousands of people immigrate to Denmark to explore its career and job opportunities. Anyone who is looking to migrate to Denmark should apply for Denmark Immigration. Denmark is the most active member among other European countries who always looks to hire skilled employees from across the world. The immigration policy of Denmark is same as of the immigration program of the UK. Denmark uses a points based system which is also called as Denmark Green Card for attracting the skilled employees from non EU countries. Denmark also offers work permit which is also known as Positive List Scheme for the individuals who has got a legitimate offer of employment from a Denmark’s employer. It is a points based system scheme where the individual needs to score points that would be awarded based on his/her eligibility criteria like education, age, work experience, language skills etc. An individual could get residence permit of upto the period of three years under this scheme and this scheme also permits an individual to reside and work in Denmark. In Denmark, there are many occupations which have shortage of employees, if an individual possess a skills in any of these occupations and also wish to work in Denmark then they are granted a work and residence permit. One can also get the Denmark Immigration if they got an employment offer from the employer within Denmark which can pay the individual with an annual salary of over a certain limit, then that individual is also entitled to get Denmark’s residence and work permit. The individual should have enough funds. Individual should have a health insurance cover for self and family members. The individual should score a minimum of 100 points. The individual should earn a minimum of 50,000 DKK during his/her first year.